Got to stay here on a last minute booking very cheaply (for central Brussels). Beautiful reception area - ex-bank, lots of marble-like stone.Staff were friendly and had no trouble understanding my poor French. They were much better at English! Very recommended if you can get a decent price. Well located in the centre of the city, your staying in this hotel will be a real immersion in the history of Europe. All seems left exactly as it was hundred years ago, when this place played an important role in the history of Europe, hosting important events. Visited Brussels for the first time twice this year, once during January/February and once again during March. 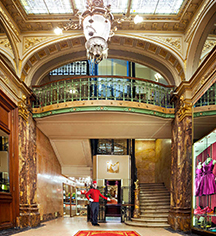 Wonderful Location - smack in the heart of Brussels City. Amazing Rooms - the Privilege Category Room is very spacious at 30 sqm and has an old, traditional feel going back to 18th Century Europe. Bathrooms - strong flow of shower and taps, refreshing! Hotel Staff - The "Concierge Team" was absolutely terrific - the most friendly and helpful of all my hotel stays around the world. I would like to thank Mr. Dobra Redjep, Mr. Michael Georges, Mr. Jean-Francois and Ms. Lucie Verscheure. Thank you all. Room Service - Very quick and efficient, wonderful staff. Enjoyed my daily "express" breakfast in the room. All in all, a terrific experience!!! 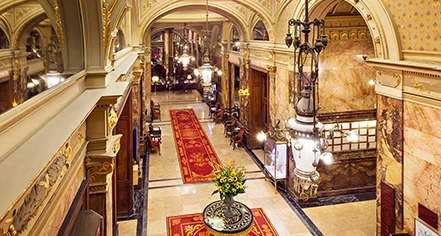 Hotel Metropole in Brussels will always be my choice of hotel whenever I visit. We are delighted to hear that you had a lovely stay and enjoyed the dedication of our concierge team. Our team looks forward to welcoming you back soon. Nice old hotel. Stayed for work. A bit disappointed that the wifi was not that strong, difficult to check up on work from the room. Good bathroom. Beautiful French doors tothe square. Had to sleep with the doors open for one night, it was warm in the room and ac didn't work during the winter (asked the reception). Cleaning a bit disappointing, didn't remove dirty glass and no waste bin. Brilliant location and generally good service. Wonderful breakfast (included in the price). We are happy that you enjoyed your business trip. However, we are really sorry to hear that you experienced some inconvenience with the wifi. Your feedback will be taken into account in order to improve our service in the future. We are delighted to hear that you enjoyed your stay.